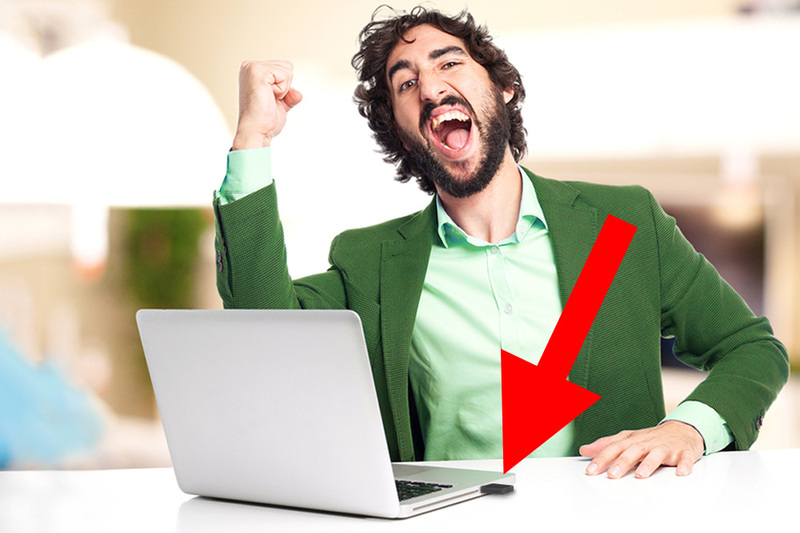 Huddersfield, UK (dpo) - Jack Gibson has never claimed to be a computer whizz or a psychic and yet, this 34 year old from Huddersfield has achieved the near impossible: today he inserted a USB stick into the socket on his laptop the right way around on his first attempt. Gibson was astonished at his own exploit. “I would never have thought that I would accomplish such a feat,” he tells us; by his own account, he has never had great ambitions in the field of IT. “It took me completely by surprise when the USB stick slid smoothly into the port with no resistance.” He almost pulled it back out again to try it the other way up out of habit. Experts believe the probability of successfully inserting a USB stick or cable on the first attempt to be in the region of 1:108.